Crews battled a 2-alarm fire Wednesday night in Hull. 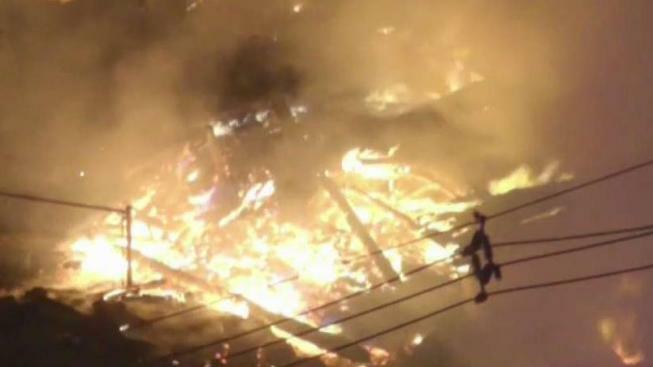 A fire broke out Wednesday night in Hull, Massachusetts, spreading between two buildings. The Hull Fire Department confirmed a 2-alarm fire broke out on Nantasket Avenue, in the area of Duck Lane. Footage from NBC10 Boston SkyRanger showed crews fighting flames shooting from the roof of one building. Another structure was badly burned and appeared to have been destroyed. 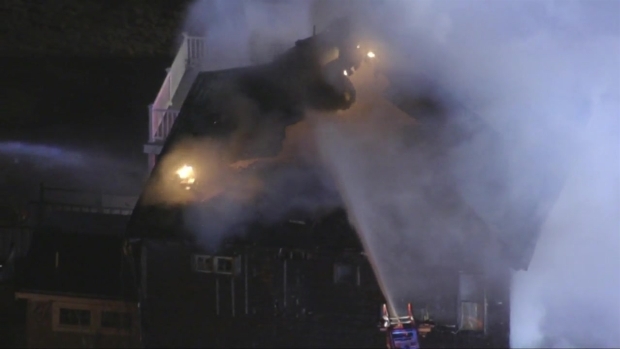 Firefighters were battling flames Wednesday night in Hull, Massachusetts.